Adapting One Minute Manager techniques to enable successful leadership to happen. Using different ways to motivate different kinds of people. Leadership and The One Minute Manager goes straight to the heart of management as it describes the effective, adaptive styles of Situational Leadership. In clear and simple terms it teaches how to become a flexible and successful leader, fitting your style to the needs of the individual and to the situation at hand, and using the One Minute Manager techniques to enhance the motivation of others. Adapting one minute manager techniques to enable successful leadership to happen. Using different ways to motivate different kinds of people. 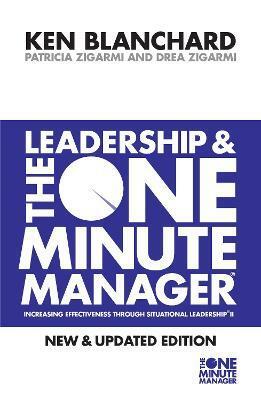 Leadership and The One Minute Manager goes straight to the heart of management as it describes the effective, adaptive styles of Situational Leadership. In clear and simple terms it teaches how to become a flexible and successful leader, fitting your style to the needs of the individual and to the situation at hand, and using the One Minute Manager techniques to enhance the motivation of others. ""Leadership and the One Minute Manager? "teaches strategies that put possibility thinking into action. It's a must for managers and parents."--Dr. Robert H. Schuller"There is only one group of people that I wouldn't want to read this book...my competitors. Another winner from the One Minute Manager." --Harvey B. Mackay"Simple, smart, and useful--this book demonstrates that leadership competence is attainable by all who truly desire it." --Warren Bennis"If you think people are your most important asset, then "Leadership and the One Minute Manager? "is for you and your managers." --Roger Milliken, chairman and CEO, Milliken and Company""Leadership and the One Minute Manager(R) "will provide you with the knowledge you need to build a winning team." --Tom Managhan, founder, Domino's Pizza, Inc.